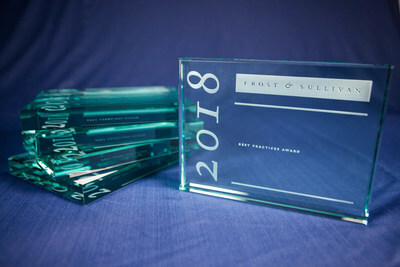 MOUNTAIN VIEW, Calif., Oct. 3, 2018 /CNW/ -- Frost & Sullivan celebrated innovative companies at its 2018 Growth, Innovation & Leadership Awards Gala held on Tuesday, October 2, 2018 at Paradise Point Resort & Spa in San Diego, CA. "Our Best Practices Awards are presented each year to companies that demonstrate top performance in areas such as market leadership, business strategy, product innovation, and customer value. Our recipients' achievements pave the way to drive significant industry growth while also setting trends before they become the market standard," said Art Robbins, President of Frost & Sullivan's Global Consulting Practice and Global Head of the Business and Financial Services Practice.